My usual solution to story questions: off to the internet. I wouldn’t say I found pay dirt, but I did find an article called “30 things you do wrong that will kill your marriage.” That seemed like it would be rich fodder for building conflict in a budding relationship, so I was off to the races. First off, the article was interesting because although it was “30 things you do wrong,” not all of the 30 things were about behavior, exactly. Some of the 30 things seemed focused on characteristics intrinsic to the individual—qualities that a person would find difficult, if not impossible to change about themselves. One example: “You’re Too Stubborn.” Now, it seems to me that stubbornness is an inherent trait, like being an introvert or an extrovert. You can try to mitigate stubbornness by focusing on, say, improving your listening skills, or practicing alternating who makes a decision about what to do on date night. But how do you change the fact or quality of stubbornness? I don’t think you can. Another example: “You Have Low Self-Esteem.” Again, this feels like a basic personal quality. Someone can always try to improve the characteristics they least like about themselves (in this case, maybe with positive thoughts, affirmations, no public self-denigration, etc. ), but having low self-esteem does not seem to be a behavior that’s immediately and obviously fixable. Not like, for example, “Refusing to Help around the House.” This one always gets me. In my (okay, narrow) world view, the only people who get to refuse to do household chores are those who don’t live there (or, of course, people who are too young or incapacitated, or whatever). If you’re a couple and you live together—each person does half the chores. Your guy or gal doesn’t or refuses to do half? Ditch the bum. Who needs the aggravation? If you’d wanted to be a servant, you’d have asked for a higher wage. “You Watch Too Much TV” was a marriage-killing behavior I found interesting. At first, I thought it meant, “you watch too much TV, so we never talk, so we can’t share stories or resolve arguments.” And yes, it means that. But it also means that individuals who believed in the relationships they saw portrayed on TV were less committed to their actual relationship. Moreover, these folks saw their actual relationship as a loss of personal freedom. Yikes! On the upside, the article authors found that couples who watched romantic comedies together on television had a 50 percent lower divorce rate than other couples. So, fellow readers and writers—keep up the good work! You’re helping to build stronger marriages! The article was both illuminating and weird. I found myself thinking that if I’d ever gone on a date with anyone who exhibited some the points described, I never would have gone out with that person again, much less get into a closer relationship. But as a way to find points of conflict for my characters, this article, and others like it, seem like a good way to stimulate ideas. What’s your take on any of this? This entry was posted in Basic writing skills, Character, Conflict and tagged character development, conflict, Kay Keppler. Bookmark the permalink. As a woman who’s 21 years into her third marriage (notice how I didn’t say, “attempt at marriage”? That’s because this one actually works.) I will observe that one of the problems is that a lot of traits don’t manifest themselves during the courtship phase. 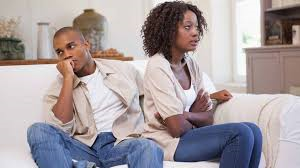 People can often maintain unnaturally good behavior for six months or a year or even a few years, but as soon as the ink dries on the marriage license, they feel free to regress to old patterns–stubbornness and refusing to help around the house are excellent examples. And the very nature of the courtship and honeymoon phase can mask low self-esteem issues–you just got your dream girl! You must be a great guy! Not sure any of this was helpful. You just got me to reflecting. That’s a great point, Jeanne. Thank you for your perspective! I might even be able to incorporate it: last night at critique group, my partners were saying that the arc isn’t clear enough for my heroine—why isn’t she getting married? She wants to be sure of the hero, but how to show this evolution? Here’s how: I could have her talk to the hero’s ex! Or reflect on what she learned about the hero when she met the ex, which happened in the last book, but hey. It’s an incentive to read all three. 🙂 Thanks! A lot of the things in those articles don’t get to the crux of the problem. Not sleeping together/snoring? These are surface symptoms. I think a marriage should be able to survive different beds, but people must make up for it in other ways. The basic issue is: do these people still feel connected to each other in a relationship sort of way? I’m trying to think of the conflict in some of my favorite stories. In Pride and Prejudice, both people are fighting against themselves; Elizabeth against her prejudices and Darcy against his pride. It’s only when they get over their bad selves that they can come together. Bet Me also doesn’t have a traditional conflict; Jenny says it’s about fate. And, Min definitely has to overcome her prejudices against being married (possibly being in a family? ), while Cal has to overcome his pride during that Misunderstanding about his dyslexia. Hmm. I’m starting to see a pattern here. In Shards of Honor, Cordelia needs to overcome her prejudices towards the barbarians of Barrayar in order to see the good man in front of her. Aral is actually pretty passive in the relationship, and just waits for her to come around. He is very active in defending her, particularly against his father. In Barrayar, the conflict about protection comes to head, and Cordelia chooses the baby over keeping her husband happy. And by doing so, wins all in the end — so I don’t know if that’s typical romance-stuff. I can’t quite imagine how to write an exciting story about equal housekeeping. It’s a huge problem in real life, but comes down to lack of respect for each others’ time. With money in the equation, it could be solved by hiring a maid, but often, a woman can have tremendous pride in the Role She Is Supposed to Have as Chatelaine. Even if she’s lousy at it. And a man may be invested in marrying a Chatelaine Just Like Mom. So, I guess the conflict there is really about overcoming some Fantasy of Being a Chatelaine (or a Breadwinner), and learning that good enough is good enough. I will say, I read my mom’s romance comics from the 60s as a teenager, and one story stuck with me particularly. The young wife wanted to be the Perfect Housewife, and started doing everything, and resenting her new husband’s slovenly habits. She exhausted herself, and wound up at the (male) doctor’s office, and he said she should go on strike. Husband notices, and promises to start taking up his share of the work (I believe his share was making sure the socks went in the laundry basket). And They Lived Happily Ever After. The End. But the real fight was against her own perfectionism; as a true lover, her husband was willing to help her when he realized the problem. I don’t think it would be the main story, but it has plenty of opportunity for misunderstandings. What if the new couple had different ideas regarding cleaning – the man hired a cleaner because he respected that they both had very demanding jobs, she thought he didn’t trust her cleaning skills, and her/his mother poked at that feeling until she exploded? I think you’ve really hit the nail on the head when you say that marriages should be able to overcome some seemingly minor issues if the couple is connected and makes up for it in other ways. In articles like this, which are really clickbait, it’s not that the issues they present are wrong; it’s more that they’re presented too simplistically. I like to use roundups like this when I’m thinking about characters to see where someone I invent might draw the line, or what they might have to overcome. And I might not go with any of these ideas; it’s really about stimulating thinking.